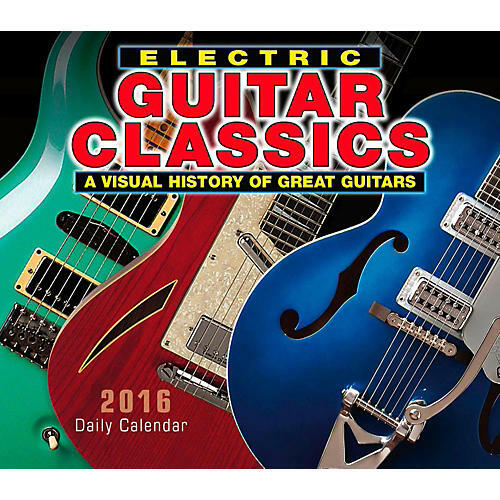 From the award-winning Ultimate Guitar Book comes the 2016 Electric Guitar Classics wall calendar. Richly detailed text by Walter Carter, well-known expert on the history of electric guitars, accompanies more than 300 exquisite, full-color photographs. This calendar is sure to become a classic in its own right, a gem to treasure the whole year through! Attached to an easel that can either sit on a desktop or hang from the wall.